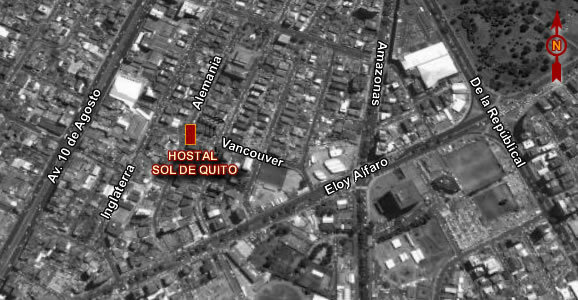 Hostal Sol de Quito offers first and a great location, surrounded by the best restaurants, galleries, museums, churches, parks, banks, shopping centers, which facilitates the transfer of any part of the city. Sol de Quito is located in the right place with the best comfort and service that you can find. Traditional family run Quito. Thanks to the efforts of four brothers, remodeled this beautiful building, which today operates a charming place filled with quality service and personal attention. All rooms at the Hostal Sol de Quito are individually decorated in traditional style colonial Ecuador, have private bathrooms, hot water, telephone, cable television and wireless iInternet. Some have panoramic views. Regardless of the only room you choose, you can enjoy a peaceful sleep and relax with personalized service.